The legal system works by an extremely complicated structure. This is why many people are unsure about their rights, especially when it comes to domestic issues. If you are in a situation like this, the best thing you can do is to contact a family law lawyer, as they will be able to assist you with anything you are going through. This is important, as they will be able to offer advice and help you find the best way to get your desired outcome. But, if you don’t know much about family law lawyers, here are a few things you should know, but might not know already. Fact 1: After separating couples need to wait before they can officially divorce. Many people are surprised when they contact a family law lawyer about a potential divorce and they are told they have to wait before they can go through with it. In order to ensure couples are serious about a divorce and the relationship is irretrievable, a couple legally have to be separated for at least 12 months before a divorce can be considered. However, this period does not have to be continuous, this means that a couple may get back together for up to three months without resetting the separation period. So if you are considering getting a divorce, make sure both you and your ex partner are clear about when the separation began, so you are able to file for a divorce after the 12 months have passed. Fact 2: Superannuation is property of marriage. Any family law lawyer will be able to explain this in detail to you, but essentially superannuation is eligible to be split after the breakdown of a relationship. Just as houses, money and many other assets can be split, so can superannuation in a property settlement. However, splitting superannuation does not convert into a cash asset, instead these orders result in a transfer of funds between the two ex partner’s superannuation balances. Despite this, it is usually not high on list of priorities, as it is usually more important to split funds that can be immediately accessed rather than long term interests. Fact 3: Parental rights in a separation are complicated. One of the most difficult things to deal with in the breakdown of a relationship is who gets custody of the children. Interestingly, as a family law lawyer will tell you, parents actually have very little say in what happens in regards to this situation. It is the right of children to have a good relationship with both of their parents, unless there are concerns about their wellbeing. When it comes to parenting, the best interests of the child or children are the main interest of the court, and the rights of each parent come second. Fact 4: It very rarely goes to trial. There is a common misconception surrounding how many cases actually go to trial. Many people believe that these matters often end up in court cases to decide on the outcome. However, this is generally avoided for several main reasons. Family law lawyers and courts often prefer to come to a mediated outcome, over a judicial decision. Furthermore, going to trial is a longer process, and will often cause delays, which is not ideal, especially when children are involved. Another reason is because legal proceedings are expensive. 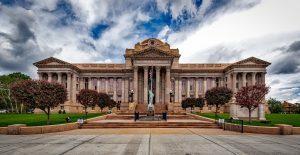 For all of these reasons, it is generally a better option to try and come to an agreed outcome without going to trial. Although domestic matters can be complicated and can often take a long time, it is an important process. This process can ensure that all members of the family have the best future possible.